A common misconception is that a smoker should “smoke,” and by that, I mean billow out a thick cloud of smoke. In reality a thick cloud of white smoke is due to a fire that isn’t getting enough oxygen and doesn’t have proper airflow. It will produce a bitter taste on your food and a numbing to your tongue, due to the creation of creosote. Black smoke is normally due to a dirty smoker, burning grease is probably the number one cause. Black smoke will leave a layer of soot on your food. So make sure to clean your smoker before you start your cook. There is a fine line between the amount of wood used, the amount of oxygen and the size of the smoker. Getting all of these right to maintain a steady low temperature and creating the perfect smoke is the great art of BBQ. Every successful Pitmaster I’ve met, and famous BBQ joint I’ve visited, have one thing in common: Thin Blue Smoke. A clean burning fire will produce soft puffs of smoke that have a blue tint to them and are almost invisible. This smoke over the course of a long cook will give you the best flavor and color. 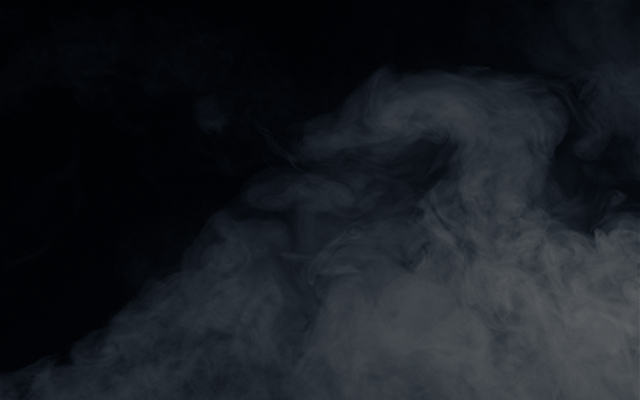 Smoke is made up of many compounds and the color of smoke is due to the size of those particles, blue smoke having the smallest and black being the largest. Some of the noted compounds are guaiacol and syringol which produce the familiar smoke flavor. 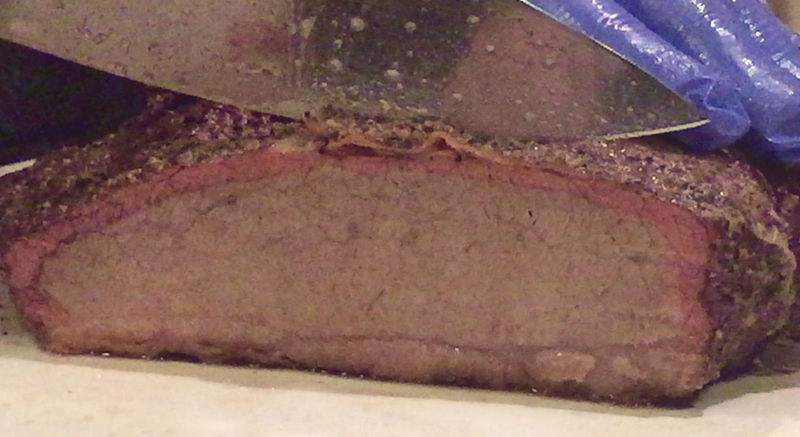 Nitrogen oxide and Carbon monoxide create the smoke ring not by turning the outside of the meat pink but by actually protecting the outside of the meat from browning. My personal BBQ adventure started with a stick burner smoker and learning how to create this magic smoke consistently, but let me tell you after staying up all night managing fires, it starts to wear on you. 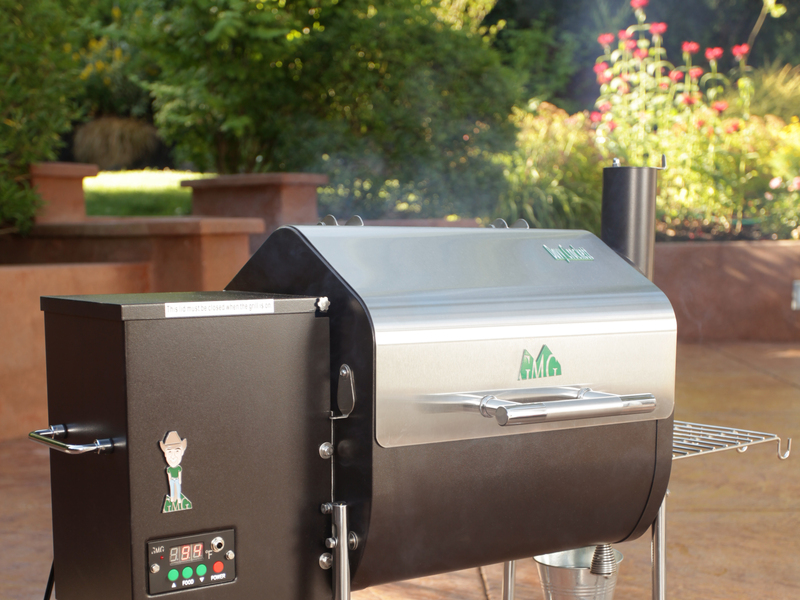 When I first got ahold of our Green Mountain Grill I was really impressed, thin blue smoke was there with a push of a button. No more long nights adjusting air dampers and adding logs to the fire. And the convection happening inside the cook chamber actually created a deeper red smoke ring than I had been use to. There are many other topics on smoke to talk about including flavor profiles and it’s ability to preserve, but I think each of those deserve their own posts. If you have any questions or thoughts on the subject please leave them in the comments below. And make sure to subscribe. Hi Mike, you can get a heavier smoke by cooking at a lower temperature or adding the GMG smoke tube accessory to your grill. Hi Michael, Make sure the tube is lit very well, it will be a heavier smoke. Most people who add a smoke tube are looking for a heavier smoke flavor.